FAQ - My 360 Shop - Where do the the Seller tagline and blurb appear? When you set up your Seller profile, you will be asked for a tagline and a blurb. These are optional fields. 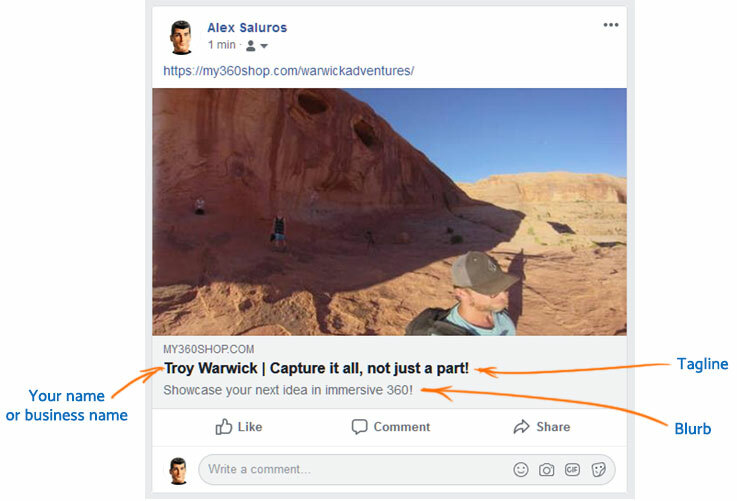 The text that you enter in the tagline will appear on your public profile page (https://my360shop.com/username/) as well as on the email sent to the Buyer. The blurb text will appear on the public profile page only.